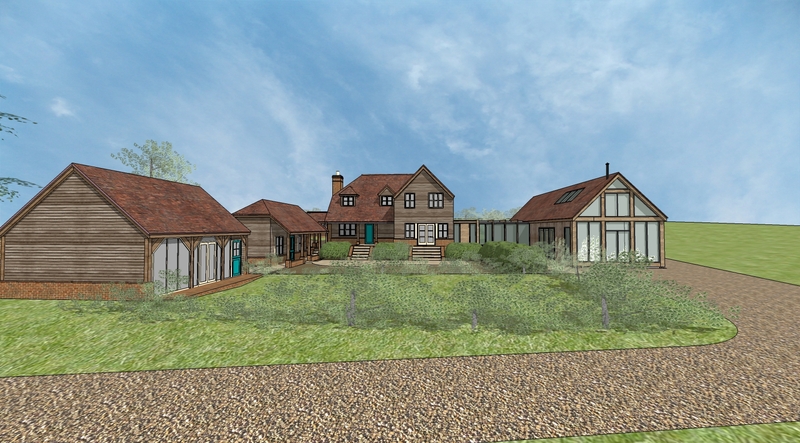 After a year’s effort to obtain planning permission for a self-contained annexe on the site of an existing house in the South Downs National Park, we have finally secured permission. 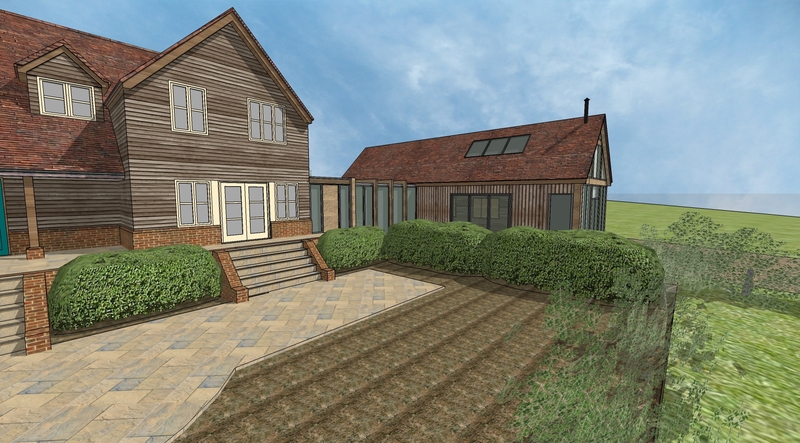 The proposal converts two existing outbuildings and connects them with a glass link. The existing business use on the site is then re-created as a new structure connected to the house which provides a farm office, large meeting space and ancillary facilities. We have also acquired permission to alter the roof of the existing house and provide a much larger master bedroom for the client. Works will start on site before the end of the year.